When India got freedom from British Rule on 15th August 1947, there was no constitution in India. Then the Indian Constitution was presented by the drafting committee to the national assembly and then it came into effect on 26th January from then Republic day is celebrated with pride every year on 26th of January. 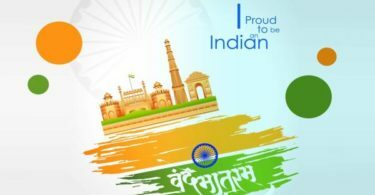 This day is celebrated to honor the Constitution of India as it came in existence on this day. 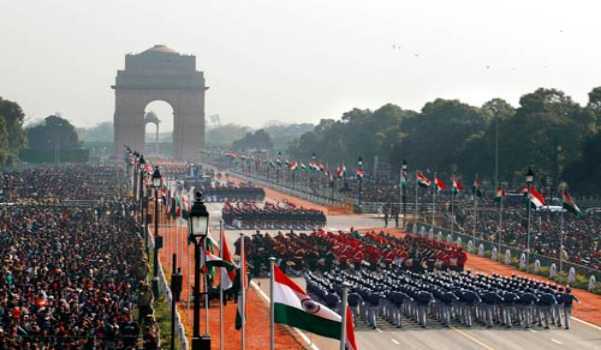 Republic Day 2019 :In India the republic day parade starts with the arrival of the president escorted by a pose of bodyguards on the horses. 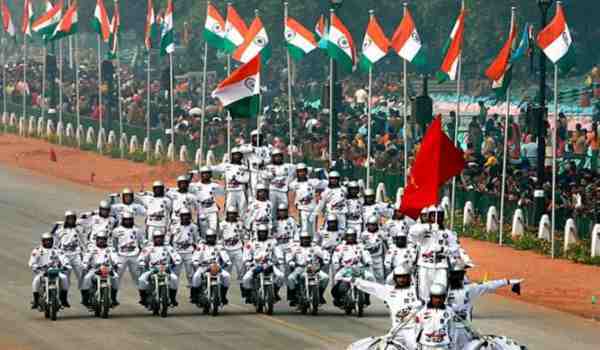 The grand parade of Republic day is led by three divisions of the Indian Armed Forces. 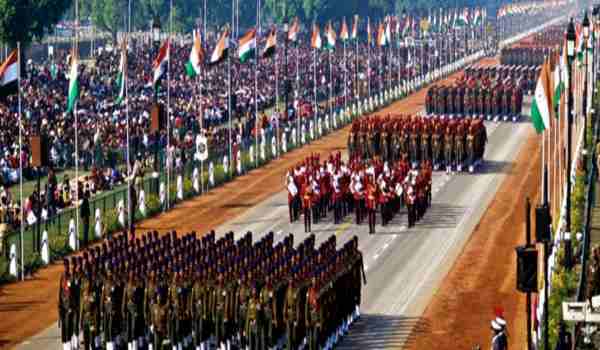 Different regiments of the Indian Army along with Navy and Air Force march past with their bands in their uniforms and official decorations. For highlighting the country’s culture each Indian state and Union Territory is represented with a different float. After getting the freedom from British rule there was no constitution for the country. On 4th November 1947 the first draft of the constitution was presented to the national assembly and then it is signed in both Hindi and English versions on 24th January 1950. Between 1950 to 1954 there is not fixed venue for Republic day celebration so in 1995 Rajpath was choose as a fixed venue and on that day the first Republic day parade was held. President of India take the military salute during the parade in the capital. Prior to the Republic day parade the National flag is unfurled by the President of India and greeted by 21 gun salute. One foreign head of the State is invited as a president’s chief guest. Who will be the chief guest during the republic day 2019 celebrations at new delhi? On the upcoming 70th Republic Day 2019, the chief guest will be “Matamela Cyril Ramaphosa” the fifth and current President of South Africa. He was invited by Prime Minister Narendra Modi during the G20 summit which was held in Buenos Aires, the capital of Argentina. The Indian constitution was prepared in how many days? To prepare the Indian constitution the assembly met in sessions open to the public, for 166 days, spread over a period of 2 years, 11 months and 18 days and this is all done before adopting the Constitution, the assembly signed two copies of the document (one each in Hindi and English) on 24 January 1950. 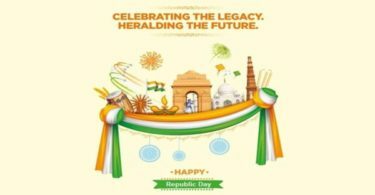 In this article we have given you information related to republic day parade route, republic day parade in delhi, in which year first republic day parade was held, in which year was the first republic day parade held, military salute during the parade on republic day, who takes the military salute during the parade on republic day, who takes the military salute during the parade on republic day?, in which year republic day parade, which you can share with your friends, family and social media. 4 Who will be the chief guest during the republic day 2019 celebrations at new delhi? 5 The Indian constitution was prepared in how many days?